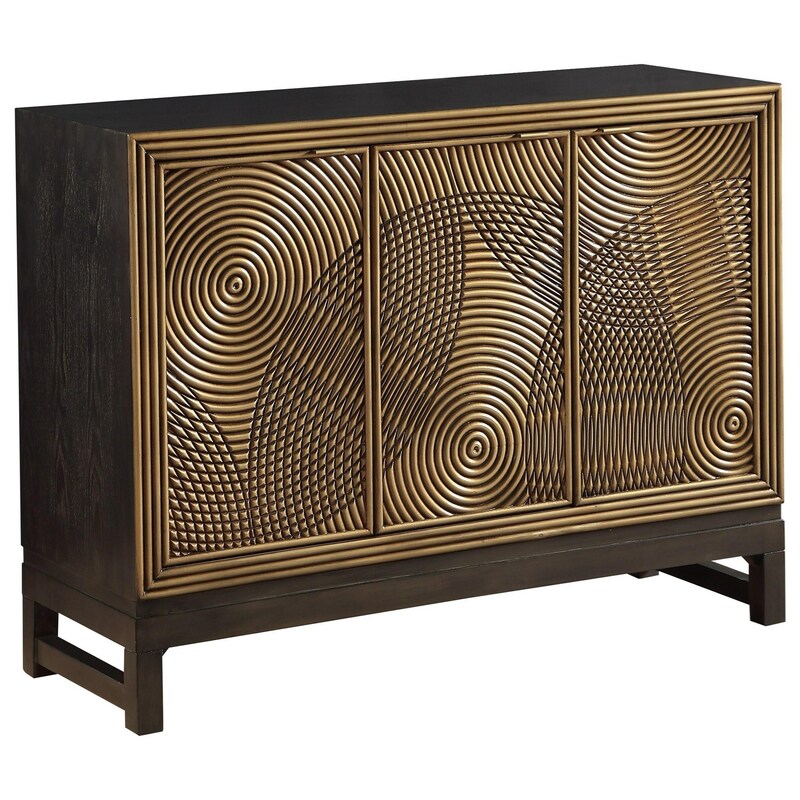 A combination of Modern art and Contemporary design, our Credenza finished in Zin Gold and Black brings the best of both together! Framed by the dark and linear body, the three door fronts are a glorious profusion of golden circles radiating out and overlapping in a riotous splendor. A marvelous addition to any decor, and a focal point that you will love for years to come. The Coast to Coast Accents Three Door Media Credenza by Coast to Coast Imports at Prime Brothers Furniture in the Bay City, Saginaw, Midland, Michigan area. Product availability may vary. Contact us for the most current availability on this product.